It's a place of refuge, a territory where the Tribes of the Moon hold strong. Wolves run on four feet through mountain forests, and on two through urban landscapes. But even this place of refuge has its own dangers, horrors revealed only by the light of the full moon. Werewolves are not the most dangerous things that breathe the night air. 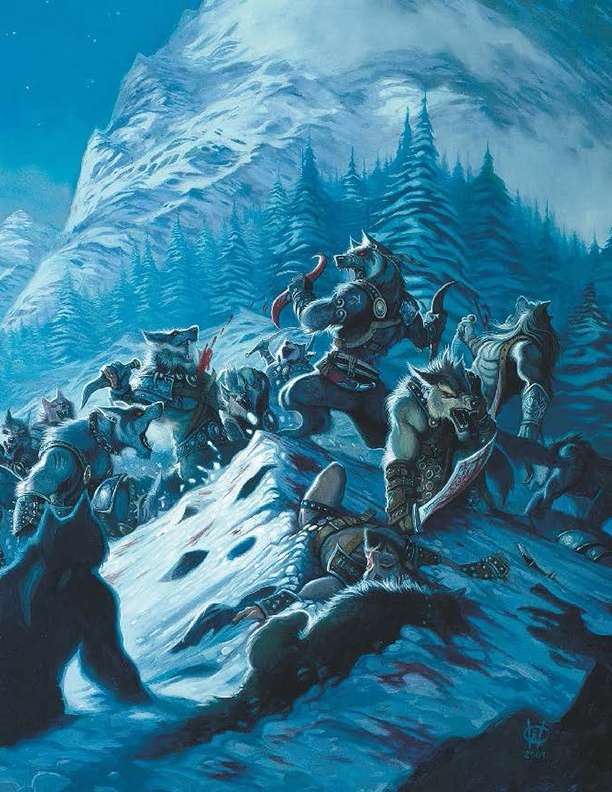 Now you can own this dynamic Werewolf: the Forsaken cover art as a full color 12" x 18" poster to hang in your own home! Originally created by artist William O'Connor for the cover of Hunting Ground: the Rockies and available for the first time.